The story goes something like this - two men working together to protect four sacred objects in order to uphold the peace between two worlds. 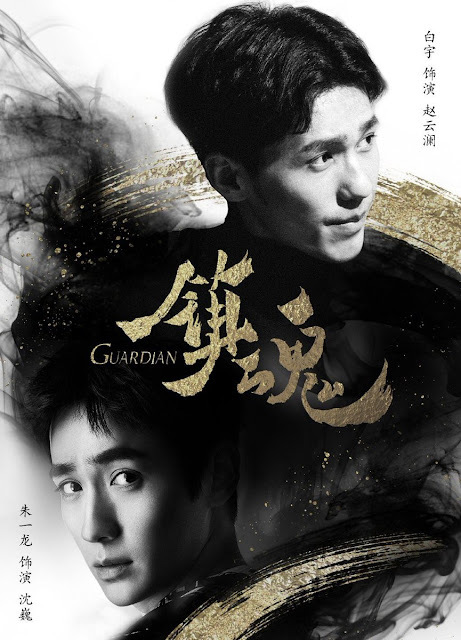 Bai Yu (Just One Smile is Very Alluring) heads an investigative bureau while Zhu Yi Long (Border Town Prodigal) is a man shrouded in mystery aka he's wearing a black cloak. Their journey is described as transcending life and death and time itself. I honestly don't know what that means since I pressed clicked because of the actors. The web series is based on a novel by popular BL writer Priest so expect some heavy bromance likely toned down a notch or two to avoid censorship issues. Filming begins this April in Shanghai.